We are a vehicle bodyshop based in Birstall and a mobile cosmetic repairer covering Leeds, Wakefield and Bradford. Whatever the damage to your vehicle we are sure we can put it right. We hope this website will answer any questions you may have but if not please don’t hesitate to contact us as we’re more than happy to help. Whether you are using one of our mobile repairers or visiting our bodyshop you can be sure of a competitive no obligation free estimate. We will give you our expert advice on repair procedures and the options available to you. Our body shop located in Birstall can replace, repair and paint all damaged panels on cars vans and motorbikes. We also carry out insurance repairs and make overs on end of lease vehicles/vehicles for sale. Replace, repair and paint all damaged panels on cars vans & motorbike. Mobile Cosmetic Repairer covering Leeds, Wakefield and Bradford. 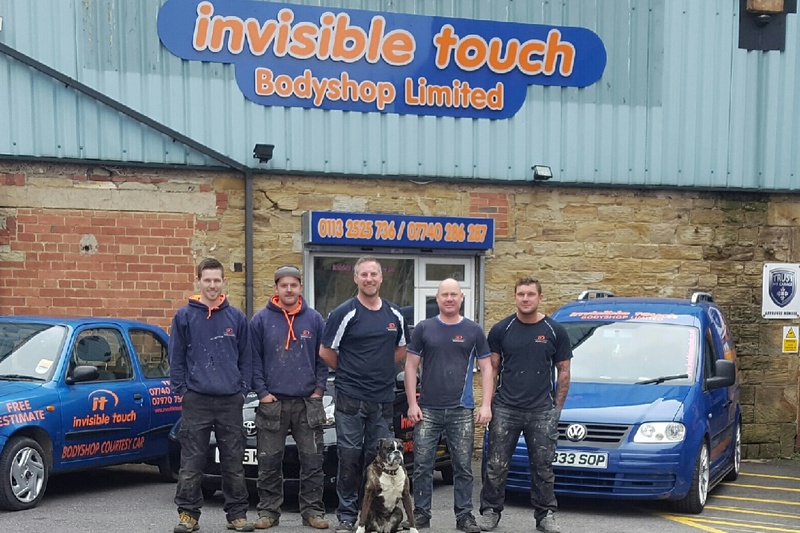 At Invisible Touch Bodyshop Ltd we understand the inconvenience involved with trying to maintain your cars sparkling appearance when committed to a busy social and work life which is why we've established a novel solution. We’re a friendly family based company in the heart of Birstall.